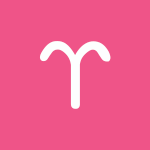 June 2018 Aries Monthly Horoscope: The pace of your daily life has picked up, dear Aries. June is a month of much curiosity and special interests, as well as learning and busy work. As it advances, though, a theme of family and home life comes into stronger focus. In the first few weeks, you’re looking to feed your curiosity, connect with others, and get out and about. This is a better time for diversifying than concentrated focus. Be careful that you don’t make all of your decisions from the head or your ego and ignore your heart in the process, but mindful choices made now can be empowering. The 4-5 especially is excellent for engaging in helpful conversations and solving problems. There can be a significant discovery, clearing the air, epiphany, or communication. This can be a mentally busy time, even with several hints that life is becoming a little quieter and more comfortable. A Venus transit continues to awaken a self-protective or cautious part of you until the 13th, particularly when it comes to your affections, spending habits, and pleasures. Familiarity and security are themes now, and these extend throughout June as Mercury and the Sun get on board from the 12th and 21st, respectively. It’s a strong period for plumping your nest or your base of operations – you’re especially interested in making your place of retreat as comfortable and harmonious as possible. You may be making extraordinary efforts to smooth over relations with family or close loved ones, or you may be decorating or entertaining in your home. It’s also a good cycle for building up your sense of security and your self-confidence. The New Moon on the 13th is reasonably good for new initiatives, but do keep in mind that June is a stopped-up month with several planets already retrograde and two more getting onboard, including your ruler, Mars! As such, it may not be the best choice for new beginnings, in general. Venus then spends the rest of the month in your romance and creativity sector. This transit is strong for your powers of attraction. You’re desired now! People want to spend time with you. Neptune’s retrograde starts on the 18th. It’s familiar energy since it happens for five months every year. Some of your plans may not seem like they’re coming together very well right now, but taking extra time to iron out details will ultimately be rewarding. If you avoid expecting immediate results and instead try to “go with the flow,” you can feel inspired, or at the very least, you can catch your breath. During the retrograde Neptune cycle that lasts until November, you have the opportunity to come to some level of peace about a disappointment from the past. A grand trine involving Mercury, Jupiter, and Neptune occurs on the 19-20 and is about your thoughts, ideas, and attitudes. This can be an exciting time for releasing problems through conversation, even if that happens with yourself in your head or in journal form. Aim to be especially open and forthcoming with family. Your thinking is forward-looking and confident, and you can approach domestic matters in a new way. There can be good news about, or simply good relations with, family and home matters, which gives you a nice feeling of optimism now. The confidence you derive from your support system now can carry you far. Do what you can to take a detour from the usual routines, as this can really get the creative juices flowing. Venus and Mars form an opposition on the 21st, and conflicts arising then can have a significant impact since Mars is slowing down and heading for a station. As such, watch for haughty or impulsive decision-making and reactions that may be regrettable. The results of conflicts can be exciting and stimulating, ultimately, but possibly less than satisfying at the moment. Someone could be frustrated with your behavior or seeking your attention now. While outside interests and responsibilities are still relevant, the Sun’s move into your home and family sector from the 21st suggests it’s also a time for honoring your need for a home base, time to replenish and center yourself, and some familiarity or routine. Personal relationships require a softer approach. Mars is retrograde from June 26th to August 27th. In the first leg of this retrograde cycle (until August 12th), your social life may be complicated. A friend may be distant or in a phase of rethinking matters. Friendships, in general, require more care now. Misunderstandings can be frequent, and dilemmas can arise. You might also take this time to re-assess your longer-term goals, desires, health, and group associations. The past can look a little more tempting at this time but watch for an obsessive focus on problems of the past. Take the time to review your feelings, but don’t let them distract you from your current path for too much time. Later in the Mars retrograde cycle (from August 12-27), you’ll be reassessing long-term goals and possibly your career path or recent choices. Prepare for this, but for now, pay particular attention to how you might improve your life on a social level. You may be returning to old groups or even friendships, but not all answers lie in the past, so take a second look but keep your options open. A Full Moon and Sun-Saturn opposition color the last days of June. On the 27-28, you may be dealing with a reality check related to work or home life, particularly if you’ve overlooked or let something go. There can be quite a pull to follow the rules and to achieve your goals and ambitions, but you are also craving family and home time. Plus, loved ones seem to need you now. Some of you could feel overwhelmed by a rule or a person who is asserting their authority over you. Remind yourself that you gain strength as you humble yourself to certain realities. Taking a second look at personal plans can be useful now. June 2018 Horoscope for Taurus: In the first few weeks of June, you’re particularly invested in your things, values, money, valuables, and talents, dear Taurus. You have a good head for business or your practical affairs. You’re giving special thought to making your life more comfortable and secure. Particularly around the 4-5, you see a financial or respect issue with more clarity and objectivity. Something dawns on you, or there is significant news coming in now that helps you make decisions about money, income, and relationships. There can be a turning point or fruition of a project first considered in March or new developments related to an issue from around that date. Do keep alert for situations when a more sentimental approach is preferable. Pay close attention to ideas generated now and wait until the days after the New Moon on the 13th for big launches. 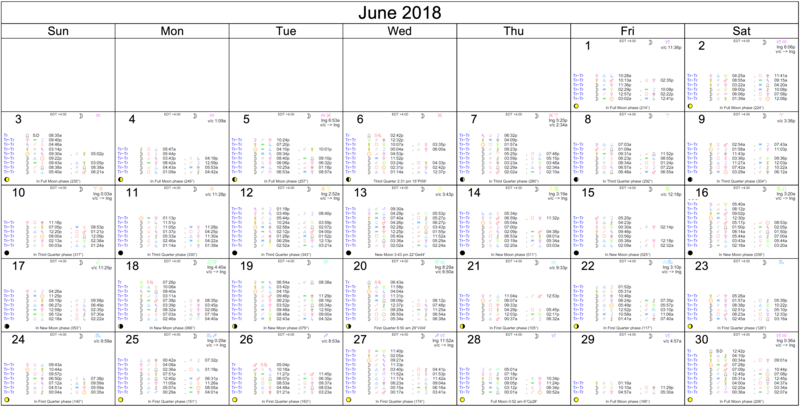 Keep in mind, though, that June is a rather stopped-up month, in general, so if something can wait for a less blocked time, then do wait for it! Until the 13th, Venus continues to move through your communications sector. You are presenting your ideas and comments with charm and ease during this cycle. Making social connections and sharing your ideas comes smoothly and naturally. This transit refines, improves, and enhances your abilities to socialize, learn, communicate, and make connections. There could be purchases or gifts that help you connect and learn. You are more charming and creative with your words, and love can be more mental and verbal during this cycle. The New Moon on the 13th can prompt a new approach to money. You may be making substantial changes to the way you manage money as well as the attitude that drives the ways you attract money and possessions into your life. From the 13th forward, Venus spends time at the base of your solar chart, and you may like nothing more than spending quality time at home! Focus can be on bringing more harmony, balance, and beauty to your personal life, home, and family. Neptune’s retrograde turn on the 18th can leave you feeling a little lacking in direction temporarily, or you could be questioning your ties to others as faith can briefly falter. There may be some confused situations or a bubble-bursting moment now, particularly surrounding a long-term dream or a friendship, but this is a temporary situation. Going forward, you will get back in touch with your dreams, possibly refining them to better suit your purposes and current situation. A planetary configuration on the 19-20 is excellent for ideas, presenting a good time for resolving problems, communicating, reaching out, and learning new things. Whether it’s through your own thinking, the conversations you have, or information coming in, you have reason to feel more confident, hopeful, and optimistic. This is an excellent time for writing, particularly about your feelings toward someone or for promotion or publicity work. Meetings with people may be unexpected and serendipitous. Conversations with friends can be inspiring and there is likely to be a real sense of camaraderie and support derived from your interactions. You see others for their better qualities. Perhaps you’re wearing the proverbial rose-colored glasses now, but not in a destructive way! A Venus-Mars opposition on the 21st is significant since it’s occurring in signs that conflict with yours, Venus is your planetary ruler, and Mars is heading towards a station. The tendency is to react in a big way to frustrations, but bad behavior now can be impactful and memorable, so take it easy! There can be off-timing and impatience in our relationships. Give of yourself until you meet the halfway point, or to the point at which you still feel comfortable, in order to avoid feeling resentment. It’s important to keep your cool. As June advances, you’ll be branching out more often. In your daily life, you are likely to experience more communication, movement, and activity, in general. It’s a fine time to reach out and connect with people you don’t always see, to take up new studies or interests, and to share your ideas with others. One of the main reasons for taking things in rather than pushing things forward too quickly is the retrograde of Mars on the 26th. Sometimes people think they should pack all sorts of new beginnings into the days before a retrograde, but this is unwise. Motivation levels can dip and you might change your mind about specific projects and ideas. This Mars retrograde period lasts from June 26th to August 27th, and the first leg of the retrograde journey (until August 12th) occurs in your solar sector of career and reputation. While it may cause some disruptions and frustrations in your professional life, you’ll eventually realize that going over plans and making adjustments will benefit you most in the long run. Work requires more strategy and patience, as well as a lower profile. This is not the time to push. You may be experiencing delays and assorted slowdowns. Try to steer clear of differences of opinion and other conflicts that threaten to be too public or unprofessional. Work on improving skills and fine-tuning your work. You might be questioning certain life path and long-term choices. Manage your time carefully this month. There can be a tendency to procrastinate and to avoid essential responsibilities in the second half of June, so pace yourself accordingly. A Full Moon and a Sun-Saturn opposition occur on the 27-28, and you may face some form of roadblock or delay. If you’ve let something go or neglected a form, responsibility, or errand, it can now come back to your attention, perhaps now with some interest, fines, or other minor consequences involved. This may also be a time for recognizing the limits of time or energy for a project that you began approximately half a year ago. Take this opportunity to make more mature and informed decisions. June 2018 Horoscope for Gemini: The first weeks of June are a particularly awakened, outgoing, active period for you, dear Gemini. Both the Sun and Mercury are in your sign, aligning in Gemini on the 5th. Your personality is shining, and you project quite a bit of strength. You’re also more talkative and energetic, you can be busier than usual, and you’re in demand. On the 5th, you are likely to verbalize your desires, or others seek you out for your thoughts on a situation. People hear you and notice you more than usual. There can be significant realizations, epiphanies, and clarifications occurring. It’s a time of mental renewal and increased decisiveness. You’re able to see details you overlooked in the past. Mercury in your sign until the 12th is particularly favorable for feeling the ball’s in your court, and the Sun in your sign until the 21st is similar. You also enjoy the New Moon in your sign on the 13th that gives you the chance to start fresh or clear the slate in a significant way. It’s time to make what you want out of your life and to focus on self-improvement. You can quite safely turn on a bit of drama now and get away with it! You feel in charge. Until the 13th, you have Venus helping you with your finances, personal belongings, valuables, and business. It’s a decent transit for relationships, too. Although your connections are pretty much status quo during this period, you are more inclined to value yourself and what you have to offer — an attitude that reverberates back nicely to your relationships. Neptune’s yearly retrograde cycle begins on the 18th. You could experience a mini-crisis of faith in the surrounding week of this station that likely has to do with your career path or reputation issues. This is not designed by the universe to lead you astray, but rather for you to first question your goals, which ultimately helps you strengthen them. What feels like a lack of direction can actually work in your favor as you learn about what you truly want. Neptune’s retrograde station is a yearly event, and its retrograde lasts for about five months. It’s an essential time for self-understanding. Aim to dig deep to discover your true calling. Observe and make adjustments rather than big, bold moves, particularly as Mars nears its retrograde period, as well. A grand trine involving Mercury, Jupiter, and Neptune on the 19-20 is particularly strengthening for business or money matters. It’s true that Neptune has just turned retrograde at the top of your chart, but it’s a strong time to get in touch with your intuition about your life path or money-making ideas and possible ventures. Putting real effort into what you enjoy doing can be magical for you now. Believing in yourself and your path, even if you haven’t defined it in exact terms, works well for you now. 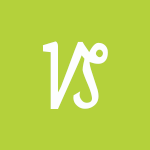 From the 13th, Venus in your communications sector points to a real need to share your ideas and decisions with someone you care about. This transit also brings out your charm in communications and suggests that getting what you want can be easier with kind words and bonding with others on a mental level. Around the 21st, people may seem to be slowing you down or aggravating you with possessiveness or frustrating behavior. If this has been building in your life, then it can reach a head around now. Try not to fixate on something outside of yourself that you feel will solve all your problems. Your heart may be ruling your head at this time, and while there can be some level of drama as a result, try to go with the feelings and see where they lead you. At the same time, the Sun moves out of your sign and begins its transit of your resources sector. This is a good time for settling in and turning your attention to projects that have long-term potential and require patience. Mars turns retrograde on the 26th and will move in this apparent backward motion until August 27th. Throughout this period (from June 26-August 27), it’s appropriate to slow down, back up, and review. Enthusiasm for specific areas of life could change as you reassess your commitments or desires. For the first seven weeks of this cycle, there can be special attention to projects and activities related to publishing, law, education, travel, and belief systems. Some of these things can now meet with delays or slowdowns. Your approach to experiencing life to its fullest may need an adjustment now. There may be some things that catch up with you at this time, and that prompt a need to review, return to a previous condition, or tie up loose ends. Aim to correct misunderstandings swiftly. As you grow accustomed to this energy, you’ll begin to realize that reviewing, renewing, and recycling can be the most rewarding activities – look to projects you’ve already started in the past with renewed interest and motivation, for example. On the 27-28, a critical Full Moon occurs and highlights issues surrounding ownership, possessiveness, money, support, and other resources. You may need to deal with a financial or relationship reality that, once handled, pushes you along a new path. You may need to draw some boundaries, although if a significant other is doing the same, you may reach an impasse. Alternatively, you can aim to meet others halfway and wait for them to do the same. If money or support is an issue, work on what you can do about improving your position. Delays occurring now may very well lead to better conditions later, so be willing to draw upon your patience. 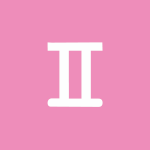 June 2018 Cancer Horoscope: You’re paying extra attention to your private, inner world as June begins, dear Cancer, and this can benefit you greatly. With the Sun and Mercury in the sign behind yours (until the 21st and 12th, respectively), you’re bound to focus on your more profound needs, the past, finishing important projects, clearing out the deadwood in your life, and doing some soul searching. There can be a strong urge or need to talk and think about the past. Slowing down makes sense at this time, and relaxing, meditative activities can be a boon. Particularly on the 4-5, you can have an epiphany or experience illumination regarding a private or past matter. You might see something you failed to see before, or a conversation can bring up new information that allows you to come to a more definite conclusion. There can be a releasing or purging moment involved with bringing something to light, although this is still something that is private, behind the scenes, or within you. Ideas coming to you now can be highly significant. Revealing conversations or details emerging can prompt a turning point of sorts. You are better able to communicate or rationalize a matter that, before this time, was difficult to express or understand. Once past the slate-clearing energy of the New Moon on the 13th, you’re in the position to take action on specific things you’ve been mulling over and processing. While much is going on under the hood, Venus continues its transit of your sign until the 13th, and you’re receiving a lot of attention or interest. Your confidence and comfort in your own skin do wonders for you now. You’re radiating good energy, and tend to attract positive attention and feedback as a result. Be kind to yourself – this is the time to reward yourself for those things of which you feel proud. From the 13th forward, you’re in an excellent cycle for enjoying activities that soothe, comfort, and boost your confidence. Attracting the right resources can be smooth and natural now. With Neptune’s retrograde turn on the 18th, take your time coming to conclusions. A mini-crisis of faith in a belief system, and for some of you an educational path, can occur around this time, but while it can be confusing at first, it can also help you to realign yourself with goals or beliefs that genuinely reflect the real and current “you.” Keep in mind that situations can appear more complicated than they are with Neptune’s retrograde station, after which you acclimatize to the shift in energy. A disappointment is possible, but it can lead to a better situation overall if you use it as a learning experience. The 19-20 is excellent for drawing upon your intuition as Mercury in your sign harmonizes with Jupiter and Neptune in your expressive and creative houses. This is a time for finding interesting and satisfying ways of expressing yourself. This configuration keeps you the topic of conversation and especially engaged and motivated. You’re particularly interested in contributing something unique to discussions, or to the world! You can use the power of words to attract what you want or to further your interests. Expressing yourself through a hobby or creative pastime can figure strongly. Sharing your big ideas with others can help fuel the flames of your inspiration. At the same time, financial matters can reach a head, and emotions and passions seem to run high surrounding ownership, money, and respect or value. Watch for impulsive purchases or sudden decisions about money and relationships around the 21st — wait for the hot head to cool! On the 21st as well, the Sun moves into your sign and on some levels (not all), you’re awakening and ready to share yourself with the world. This is a time for feeling more powerful, in charge, and effective, even with some caveats related to Mars turning retrograde. Neptune’s retrograde turn on the 18th is a yearly event, but Mars’ retrograde turn on the 26th doesn’t happen quite so often, and this can mean it’s a little more challenging to adapt to. Mars will be retrograde for two months – much of the summer. Desires are complex during this period, as they’re either difficult to fulfill or you are not completely sure you should pursue them. Mars will spend the last two weeks of its retrograde period in your partnership sector, but until then, you’re examining your deeper wants and desires. A lot is going on under the hood. Some of you could be struggling with addictions, fears, and unusual desires, or a need to review your money situation. Watch your money closely this month and the next – lending and borrowing may not bring desired results at this time. However, this is a great time to do some catch-up work and to look to the past for important things you missed the first time through. You may, in fact, see value in past projects (and possibly even relationships). Whether or not to revive them is a trickier matter! Watch for attraction to speculative ventures, both financial and emotional in nature. This is an important time for following all the rules in your financial and business worlds. When it comes to direct personal income (your salary), money matters are strong. Other sources of support can involve some question marks for the time being, however. Mars retrogrades tend to turn your attention to unfinished matters as you may be seeking closure or looking to reopen something that ended a while ago. There may be preoccupation and possibly anxiety when it comes to money or your intimate life, but the steps you take now to reorganize will benefit you greatly down the road. Around the 28th, a Full Moon in Capricorn is a time of discovering your emotions and is complicated by a Sun-Saturn opposition. While facing up to a responsibility or restriction is not always a cup of tea, this transit can ultimately get you to a place of better balance in your life. The hardest but possibly most important lessons can be coming from a significant person in your life. This may not be explicit — it may not be about what is said directly, but the lesson is found in your reaction to an injustice or a freezing-out that leads you to meaningful conclusions. A relationship challenge could emerge or reach a head, and you may not have others’ full cooperation, but you have all the right tools to sort things through without being dependent on a definite answer from someone. Through conflicts or realizations now, you can also clarify some of your long-term goals. June 2018 Monthly Leo Horoscope: As June begins, you’re in a fantastic period for cultivating contacts, getting involved, networking, sharing ideas and time or energy, dear Leo. Valuable new connections can be made, or you may be strengthening your ties with current friends and associates. It’s a high-powered time for making friendships work. Progress occurs through groups, like-minded people, friends, networking, associates, and new, experimental, and innovative ideas and approaches. Especially around the 4-5, you may be giving a lot of thought to friendships, group associations, and long-term goals or you enjoy new insights into these areas of your life. You can feel excited and hopeful about the future. Your personal happiness goals or cherished causes are in focus. You might gain more clarity about or through a friend. Alternatively, this can be a time of further developments on an initiative from late March that is now gaining traction. Friends have something essential to contribute or say right now. The full details of a plan may be born. Part of you is holding yourself back with Venus in your privacy sector until the 13th. You might take special pleasure in their private life. Dreams can be intriguing, and time in relative solitude can be especially rewarding. Decision making about money and love is not straightforward, though, and it’s wise to take your time to come to reliable conclusions. You may not be ready to share your feelings with the world. From the 13th forward, life enlivens. The New Moon in your friendship sector on the 13th is energizing and can light a fire under you to begin a new project or to make connections. Further, Venus enters your sign, where she will stay until July 9th, clarifying your affections and boosting your feelings of comfort with yourself. You radiate warmth and gentle confidence during this pleasing transit. This is a time to attract good things and considerate people into your life. Neptune turns retrograde on the 18th, and this shift can temporarily throw you off kilter. It can pull up questions about recent dreams and plans, ownership or sharing issues, or a relationship. Slowing down can be to catch your bearings, and also for getting into closer touch with your true desires. The cycle itself lasts until November and is strong for exploring dreams, motivations, and spiritual needs, however. The 19-20 is wonderful for tapping into your intuition. A break would be excellently timed now, if it can be managed! You have a stronger drive to enjoy your family or home life and energies support connecting with loved ones and your inner world through musings, journaling, conversations, and fantasies. You might gain valuable insight or inspiration through your communications with loved ones or even through your dreams. New information about a personal, childhood, or private matter can boost your confidence, make you feel happy, and perhaps set the ball rolling towards healing. There is strong energy for work done behind the scenes and thinking done in relative solitude. The grand design behind recent events continues to unfold for you, as this is an important period of self-discovery. Around the 21st, however, Venus in your sign opposes Mars shortly before Mars turns retrograde, and relationships can be conflicted but also hold valuable lessons. Cupid’s arrows may be flying in the wrong directions now, and it’s wise to be sensitive to others now, but it’s also a time when you or someone needs some space to figure things out. At the same time, the Sun moves into your privacy sector, signaling the beginning of a month-long period for review, reform, and renewal. This comes at a time when Mars is moving slowly before turning retrograde in your opposing sign, reinforcing the need to take things easy and reassess matters. Lowered vitality is possible with the retrograde of Mars beginning on the 26th in your partnership sector. Be sure to honor your need for extra rest. It’s not the time to push yourself too hard, particularly since the Sun moved into your privacy sector on the 21st – another indicator that you need to slow down, rest, reflect, and observe. Mars’ retrograde lasts until August 27th, and the first leg of the journey (until August 12th) especially affects partnerships and close relationships. Buried problems can surface in partnerships, and resolving them can initially seem complicated. Straightforwardly dealing with others can be challenging for one reason or the other. You may be looking to the past for answers during this period. You have the chance to reassess how you’ve been dealing with partners or potential partners, and you may be finding new and improved ways to get along. Taking things slowly is best now, and in fact, beneficial once you adjust to the shift in energy. The Full Moon on the 27-28 ties in with a Sun-Saturn opposition. A feeling of being overwhelmed by responsibilities or duties can push you to make necessary changes. Obligations that you’ve forgotten about or avoided may need your attention now, perhaps with some consequences if you’ve let something slide. Your need for extra rest is high with both the Sun and Mercury in your privacy sector, but right now, there can be some loose ends or extra work to do before you catch a real break. Once something is put behind you, you’ll feel relieved and more balanced inside and out. Mercury moves into your sign on the 29th, and you’re finding your voice! You’ll find it easier to express yourself and make firm decisions. 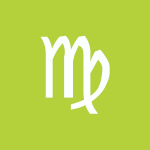 June 2018 Monthly Horoscope for Virgo: There is a relatively strong focus on material or ambitious concerns for at least the first couple of weeks of June, dear Virgo. The Sun and Mercury are transiting your solar tenth house (until the 21st and 12th, respectively), and you are more invested than usual in your long-term or professional goals, responsibilities, or reputation. You’re bringing more pride and intelligence to your work or public life now. You are getting noticed for your skills, views, or voice. You can be working hard to surpass competitors or merely trying to beat your own personal “best.” Particularly around the 4-5, you may be receiving special attention in a public or professional sense, or your communications are particularly impactful. Problem-solving skills are high. New insights into your career or life path can emerge, or there can be a significant clarification or a meaningful realization related to your broader goals. Ideas for new directions can be valuable now. At the same time, you have Venus moving through your social sector, ensuring that your happiness goals get their fair share of attention, until the 13th. Mercury and the Sun will extend these themes from the 12th and 21st, making sure that social and humanitarian concerns remain prominent themes throughout June. There is more natural energy for socializing and connecting this month. You get along better with the team, or you might share some of your talents or expertise with associates with excellent results. This can be a favorable time for collaborations or for reaching out to others and sharing some activities. Your tastes are for the new, different, and progressive. The urge to be around people or to soak up ideas and inspiration from others is compelling now. The New Moon on the 13th can usher in a new beginning of sorts on the career front. If you need to rebrand yourself in some way, this can be a time for doing so. Your ideas, particularly business ones, are exceptionally innovative and progressive at this time. Venus moves into your privacy sector from the 13th forward, however, and this can point to a period of review and reflection when it comes to affections and relationships. Benefits come from paying more attention to the hidden elements and patterns of your interactions. 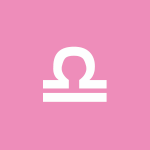 This jibes well with Neptune’s retrograde in your partnership sector – you may be reviewing your feelings and possibly your allegiances. Two planets turn retrograde this month: Neptune on the 18th and Mars on the 26th. Neptune’s retrograde happens for five months every year and has been affecting your partnership sector for many years. It’s nothing new to you, but in the week of its station (mid-June), a significant relationship, past or present, may be called to mind and the need for a new perspective on your relationship needs becomes apparent. Confusion is possible now, and for some, a temporary lull or loss of faith in a dream. This is not “designed” to discourage you. Instead, it gives you the chance to reconsider what it is you honestly want from a person or a relationship. Give people space, and give yourself time before coming to important conclusions. A grand trine involving your ruler, Mercury, on the 19-20 is especially useful for getting in touch with your intuition and for coming to important understandings or agreements. Your social life can thrive, and your ideas are likely to be received especially well. A friendship might grow through your communications, positive reinforcement, kind compliments or acknowledgments, your choice of words, and your unique perspective. You may be looking forward with more hope, optimism, and confidence. It’s a good time to do some big-picture thinking, particularly about pet projects or causes. At the same time, there may be a revelation or a culmination in a relationship or financial matter, and someone may take issue with you if you’ve been on the fence about a topic or if you’ve been stalling. It may be difficult to see eye to eye with someone and desires are likely intense now. Frustrations with routines and work can be prominent now, particularly as you are craving more time to yourself to sort out your feelings. On the 21st as well, the Sun moves into your social sector, giving you another type of message – it’s a period for planting “seeds” in the form of ideas, dreams, and hopes. Think in terms of team playing — the most benefits come your way when you recognize your need for friends, a social life, or rewarding activities separate from your closest relationships and duties. There can be some complications in June with Mars turning retrograde on the 26th. Keep in mind that while Mars is retrograde until August 27th, there are always related lead-in and hangover periods of a retrograde cycle, and you’re likely to feel some stalling at any point in June. Specifically, there can be some tricky matters revolving around work or health matters to deal with. Energy may not be at its best for work and health routines, and you could be feeling sluggish or bored. If so, it’s mainly about waning emotional energy (motivation and inspiration) which impact your physical vitality as well. Keep in mind that while there can be delays, slowdowns, and muddled situations, your patience now will be rewarded later. For now and the coming seven weeks, Mars is slowly transiting your sector of work and health, prompting a review of these matters. You may be looking to the past for inspiration now, and considering reviving past projects or reminiscing about previous jobs. With your health, you may need to clear up an old issue before going forward with new programs or procedures. The Full Moon on the 27-28 is tied in with the annual Sun-Saturn opposition this year, turning your attention to friendship, romance, or a creative project. Pent-up feelings are likely to reach a head on these dates. The Sun has been encouraging your social side to come out to play, while Saturn in your romantic and creative sector presents some restrictions. There can be frustrations, delays, or possibly disapproval in a relationship or with a creative pursuit, or there can be some concerns or anxieties that keep you from thoroughly enjoying yourself just for the time being. You’re reminded of your responsibilities, and while this can feel limiting right now, you stand to benefit from slowing down and making some adjustments to your plans before going forward. Consider what’s best for you in the long run. It’s the mature, Saturn thing to do! 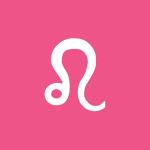 June 2018 Monthly Libra Horoscope: The first few weeks of June are mostly outgoing and forward-focused, dear Libra, although there are some quiet moments, too. You’re motivated to explore, learn, and discover new things. Excitement and enthusiasm to soak in information and acquire new knowledge figures strongly now. You want to move out of your comfort zone when it comes to learning, thinking, and doing, and while the New Moon on the 13th can bring out opportunities to do so, the days before this lunation are valuable for new ideas and plans. You express yourself with more enthusiasm and faith, and this goes over very well with others. Seek out inspiration from new people, places, information, or experiences for best results during this period. Gaining perspective on a matter and drawing meaningful conclusions around the 4-5 can be satisfying. There can be a significant discovery or connection made now. Conversations, news, and thoughts occur that help you clear up misconceptions and make definite plans. Blanks are filled in, mainly related to studies, personal interests, travel, or a communications project. You more thoroughly enjoy sharing your ideas, beliefs, and personal philosophies with others. While there is a strong theme of spirit, learning, and exploration this month, you have Venus at the top of your solar chart until the 13th, and then Mercury and the Sun in this career- and image-oriented sector from the 12th and 21st, respectively. As such, career, public life, responsibilities, obligations, long-term goals, and direction are all strong themes for you in June. With Venus here, you are pulling in desirable attention, and you may receive some nice offers or recognition. It’s a time for catching some breaks. If your reputation could use a boost, this is a good time for doing some PR or for getting closer to bosses, parents, and the like. Your love life may be more public than usual, or you may be drawing upon your people skills more than usual in your work. From the 13th, you have Venus moving in harmony with your sign and gracing the social sector of your solar chart. This transit encourages harmony, balance, and general benefits to your social life. It helps balance things out, too. Mars and Neptune turn retrograde this month, suggesting some need to slow things down. Neptune’s retrograde cycle last five months and happens every year, while Mars’ retrograde is far less common. Desires and impulses can be confusing or even misleading from mid-month. It’s not the best time to see yourself or your life clearly but consider that definition is not what you need at the moment! With Neptune stationary retrograde in your solar sixth house on the 18th, there can be a small disappointment in work, service, or health areas that might be discouraging at first, but ultimately redirects you on a more appropriate path. Keep in mind that this is temporary and serves a useful purpose as questioning can lead to the making of necessary adjustments and reassessments. The 19-20 is particularly strong for connecting with your dreams and goals. Your instincts are powerful for what to say and how to say it, particularly with the public or with your work. The finer things in life have special appeal and may be a significant motivating factor for the plans you make now. Optimism and a positive outlook bring opportunities into your life, and your imagination can lead to wonderful new ideas for getting where you want to go. Business thinking is also creative. 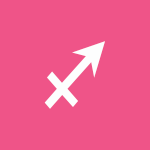 An opposition between Venus and Mars happens on the 21st just as the Sun moves into your career sector. There may be a frustrating situation that leaves you feeling blocked from pursuing your desires or confused about what it is you want. You may be dealing with a perplexing social situation for which there seems to be no real solution, at least not in the short term. Try not to project fantasies on people and situations, as you may make more of them than they deserve, good or bad! Avoid making a stand or show right now, as you may regret it later when your head is clearer. From the 21st, you’re especially invested in your performance, and you can be highly motivated to take care of business. Your ambitions are stimulated now. You could find yourself in higher demand than usual, both personally and professionally. With Mars retrograde in your solar fifth house from the 26th forward, some of you could be feeling a little stuck creatively speaking. Your social life, in general, can run into some complications. Some challenges can surface in a romantic relationship or relationships with your children this month and next. Avoidance is a strong tendency right now, but not advised. It’s time to make some changes in your approach to pursuing your desires the giving of others some space. Mars will later back into your home and family sector (from August 12-27), but for now, increased attention to your creative and recreational activities is likely. This is a time for reassessing how you approach recreation, work-play balance, lovers, love interests, and dating in general. You may decide to employ more strategy or to think ahead before jumping in. You may be turning to the past for answers, and slowdowns or delays in projects in addition to evolving motivation and interest levels can be part of the picture. There can be a change of heart, or you could be questioning what you love, and a new approach becomes necessary. The 27-28 brings a Full Moon in your home and family sector and a Sun-Saturn opposition activating the same area of your chart. This may serve to put the fun on hold just long enough to correct some errors or redirect you if you’ve steered off-course. As much as you’re gunning for your worldly or career goals and success at this time, there can be interruptions related to household or family responsibilities, restructuring, or some personal reservations and fears of exposure or risk. This is a time for examining whether you’re being practical or self-limiting. If you’ve been neglecting specific responsibilities, you’ll feel relieved to deal with them now. You may very well find that you wasted too much energy dreading something that was much easier than you’d imagined! A better work-home balance seems more doable. 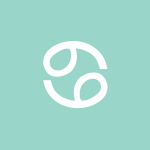 June 2018 Scorpio Monthly Horoscope: June brings a strong push towards looking within for answers, dear Scorpio, as well as for the seeking out of deeper involvement in (or commitment to) a project, venture, or relationship. You’re not interested in fluff at the moment as you pursue more meaningful or absorbing experiences with the Sun in your intimacy sector until the 21st and Mercury there until the 12th. As such, some endeavors are likely to fall by the wayside. You can be giving a lot of thought to a private or hidden matter, or you may be moved to speak about something personal, particularly around the 4-5 when the Sun and Mercury join. This superior conjunction is a time for clearing the air. You might reach conclusions about a relationship or yourself, as you see a matter more clearly. It’s a stellar time for bringing up a topic that typically is difficult to discuss because it’s complicated, taboo, or sensitive. Even so, Venus continues its transit of your solar ninth house until the 13th, and this encourages a more active or carefree expression of your feelings. You can have a stronger desire to learn, expand your knowledge and experiences, as well as to do different things. You could find it easier to attract who and what you want during this cycle. You’re more inclined to make beneficial connections in places of learning or while venturing beyond your usual routine. You are looking for more unique and interesting activities and ideas, and you tend to see your relationships as learning experiences during this cycle. Mercury moves into this sector on the 12th and then the Sun on the 21st, effectively extending an adventurous theme. In fact, as June progresses, you are increasingly more focused on the future. Nevertheless, there are two significant retrogrades in June. The first is not as impactful. Neptune turns retrograde on the 18th as it does each year for about five months. In the days surrounding this shift, keep in mind that there can be a temporary loss of faith in a creative project or romance. This disappointment will ultimately work in your favor if you allow the process to play out and get in touch with deeper needs and desires. People may be extra sensitive and could be reading situations poorly just for now. Take things easy and trust that ultimately you’ll feel stronger for learning which dreams work for you and which may be undermining you! The second retrograde involving Mars is more significant. For one, it’s not as common, and for another, Mars is one of your planetary rulers. Mars will be retrograde for about two months — from June 26th to August 27th. Even so, you’re likely to feel some slowing down before the 26th. For the first seven weeks of the retrograde (until August 12th), Mars is retrograde in your sector of home and family. Tricky energy can be experienced with family or involving domestic affairs, and later on, with communications. Watch for passive-aggressive behavior. There may be a need for home repairs, and it’s a good time for taking a good hard look at what you might do to organize your home life better and make it a happier place. Certain endeavors may not go as planned, and there may be a need for a “plan B.” This may not the best time for beginning a long-term relationship or returning to an old one, but it’s a fine time to look at things from a different perspective. Patience is a real virtue now. Besides affecting the physical and mundane affairs surrounding family and home life, retrograde Mars can also stir up some buried emotional frustrations. Issues that may have been overlooked or that you thought had been resolved long ago can resurface now. Challenges mostly revolve around home, family, work, or health. Family tensions and possible home repairs cannot be escaped, but a change of scene from time to time can help your overall mood. Despite small inconveniences, you’re on a path to new and improved home life and relations with family. This can take a few months, but the work you do now will be rewarded. This is a good time for dealing with buried anger and resentment, as well as for reviewing and fine-tuning projects around the home. Venus moves into your career and reputation sector on the 13th, and the weeks ahead are suitable for public relations and appeal, or for a more relaxed, satisfying time relating with higher-ups and business associates. Your reputation can get a boost now. A grand trine on the 19-20 can present wonderful opportunities. It can be a time of natural, strong confidence that is radiated to others, and also easy channels for communicating your ideas. Your perspective and sense of humor are appreciated and noticed. You do everything with creative flair. A romantic conversation or thoughts can figure strongly now. Around the 21st, passions tend to run high, but satisfying them may not be straightforward. Try not to stir the pot and avoid confrontations until you know where you truly stand on an issue, as things can escalate quickly at this time. It can be challenging to be indifferent towards others, but it can be emotionally freeing to do so from time to time, as you can too easily get all riled up and this can interfere with success and happiness. Impatient or immature reactions can figure strongly now. Consider being kinder to yourself by looking the other way when it is appropriate to do so. The last week of the month brings your needs for life experience, learning, and excitement to the fore. You may be looking for ways to add to your life experience through travel, learning, mingling with others, or various forms of adventure-seeking. The routine elements of your life seem to be more drab and dull in your mind’s eye now. From the 27-28, a Full Moon occurs at the same time as the Sun opposes Saturn. Both events occur yearly but rarely happen at the same time. A responsibility, limitation, restriction, or rule can make itself known. If you’ve been procrastinating on paperwork, errands, and other daily duties, then it can come back to you at this time. A project may need some adjustments to fit the constraints of time and energy. The strong urge to move about freely and enjoy new experiences can be temporarily hampered by the need to catch up on your obligations. Or, fears of expansion or insecurities about your knowledge limit your choices now. Negative reviews or feedback might ultimately motivate you to tighten up your work or brush up on your skills. However, if there’s no lesson in it, do your best to discard negativity. June 2018 Monthly Sagittarius Horoscope Relationships or negotiations can be in focus in the first few weeks of June, dear Sagittarius. You are likely to attract intelligent or interesting people into your experience. Your interactions with others hold tremendous potential for fresh ideas and thinking. There can be a lot of activity related to your social life or partnerships now, and while this can be quite positive overall, Venus is out of the loop, and you may not be considering your feelings when making plans or expressing yourself. Check in with your feelings before rushing ahead, particularly around the 2-6. Even so, the 4-5 is strong for taking a good, objective look at a situation. You might discover a missing puzzle piece of information or engage in a uniquely meaningful conversation. Let others lead the talks now, and listen carefully. There may be new clarity or a turning point in a relationship for some of you. Until the 13th, your feelings are going through a regeneration of sorts. This is one of the better periods of the year for attracting the support you need, either material or emotional. It’s also good for getting the most out of others’ talents and resources. Feelings of love and attachment can be intensified. While other themes in your life point to a generally more outgoing period of the year for you, this Venus transit suggests some introversion or tendency to enjoy private time in the first half of the month. It also implies that you’re taking things to heart more than you show. The New Moon on the 13th can push for a new beginning on the relationship front. If you need a fresh start, this is a time to begin anew. From the 13th as well, Venus transits in harmony to your sign and through your adventure sector, boosting your appeal and courage to enjoy new experiences. This is a nice transit that also stimulates a love of learning and an exploration of some of your more exotic tastes and interests, and it sticks with you through the rest of June (and beyond). Mind you, Mars retrograde in the second half of June tends to complicate your understanding of your desires. As well, on the 18th, Neptune turns retrograde, and while this yearly, five-month cycle is strong for getting into better touch with your dreams (ultimately), the shift itself can cast a confusing veil over your life in mid-June. Some level of discouragement or loss of direction can be experienced now, but focusing on small jobs that need your attention can help counter this. Family or housing matters can be a little up in the air for the moment. A grand trine involving Mercury, Neptune, and your ruler, Jupiter, on the 19-20 is helpful for finding your faith that everything will fall into place. This is a potentially powerful time for overcoming a problem or making peace with something from your past. Your intuition is in fine form, and conversations that may not typically take place can occur now and can be rewarding and successful. You may wish to discuss a private or personal matter with someone you trust. The spoken or written word seems to be the best vehicle through which to solve problems at the moment. Conversations with family take on a compassionate, creative tone. Something comes to a head around the 21st as Venus and Mars face off across your communication sectors. You may tend to say something or bring up a topic that is on the provocative side now, perhaps to see how others react or even to see how others feel about you. While this may work swimmingly on another day, at this time, sensitivity runs high, and it may backfire. Boundaries can be crossed. Watch for a tendency to say too much or speak/react too quickly. Physical and emotional attractions can be intense now. You might rediscover a desire or passion that you left behind. At the same time, the Sun moves into your solar eighth house, and you can learn much from observation and reflection. Mars turns retrograde on the 26th and will be retrograde for two months (until August 27th). The retrograde occurs in your communications sector for the first seven weeks. Usually with Mars in your solar third house (which it is all of June and beyond), the pace is quick and sometimes hectic. With Mars moving so very slowly this month and retrograding from the 26th forward, there can be a desire to get a lot done, but blocks and delays come into play; or, there can be a lot to do but you’re battling waning motivation and energy levels. Either way, you can feel quite frustrated until you accept the pace and find ways to work with it rather than against it. Finding the time or energy to run errands and handle paperwork may be a challenge this month, and especially later in June. There can also be some disagreements or blocks with siblings, neighbors, or acquaintances. Some of you could experience delays or challenges with education or travel plans. However, this can be a wonderful time for looking to past ideas, projects, and mental interests and finding treasures in these. It can also be suitable for editing, changing, and otherwise making improvements. Slowing down can be good for you now. A Full Moon occurs at the time of a Sun-Saturn opposition on the 27-28, perhaps bringing a responsibility to your attention or red tape to deal with. Blockages related to money or business, and maybe a stronger need for security and safety, can temporarily disrupt the equilibrium or your enjoyment of a relationship. There may be a disappointment experienced, or a limitation encountered, regarding finances. If you’ve let something go or procrastinated on a matter, this can be a time you’ll need to face it. Fear of loss can be at the root of either possessiveness or emotional distancing in a relationship, even though these seem to be opposite reactions! It’s a good time to bring a problem into the light so that you can finally resolve it and put it behind you. June 2018 Capricorn Monthly Horoscope: Your focus on your daily routines, fitness, health, nutrition, work, and habits is strong in the first weeks of June, dear Capricorn. While it’s not the best cycle for recognition or worldly success, this is an intense period for self-development and laying the groundwork for future success. Especially on the 4-5, good energy is with you for sorting out and gaining clarity about work and health matters in a logical manner. There can be an epiphany or realization about a health issue or solution or a work or service matter. Seek out new or alternative health programs and work methods, as problems in these areas of your life can come to quick resolutions. 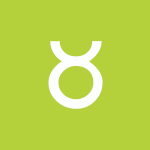 Watch for a business-like insensitivity or impatience with people with whom you share daily activities since a Sun-Mercury combination in Gemini and in your sector of work can be a little too analytical. As well, your mind might say yes to things that your heart has yet to process. You may want to wait for after the New Moon on the 13th for official launches, but until then, you’re in good shape for toying with new ideas. Work or daily routines can keep you unusually busy, and a significant discovery may be made in the process. Until the 13th, a Venus transit may bring happy or helpful people into your social circle and presents opportunities for enhancing or attracting partnerships. If you have any need for peace-making with others, it’s a great time for doing so. You might also benefit from others’ input and help. It may be that you’re craving others’ company more than anything now, as you appreciate feeling that you have someone to lean on if you need the support! As well, sharing pleasures and activities can be particularly appealing now. The New Moon on the 13th presents good energy for beginning anew with a health or work program. From the 13th, you’re seeking more depth from your relationships or projects. Mid-month finds energies a little more complicated, however. Neptune turns retrograde on the 18th as it does for approximately five months each year. Fuzzy thinking is likely as the shift occurs. Perceptions can be confused and unsure, but you might also be dealing with mixed signals and communications or instructions. A small disappointment is possible, perhaps with a neighbor, sibling, or acquaintance, or an educational matter. However, whatever it is that brings you down will ultimately push you up further as it gets you in touch with the fantasies and dreams that serve you well, and those that may need to be refined or thrown out. The 19-20 is good for your social life. Agreements can be made that are mutually beneficial. Conversations can help boost a relationship, notably as you and others are being positive and supportive, as well as open-minded. This can be a time you receive positive reviews, or something happens that inspires hopeful, optimistic feelings, particularly about, or because of, a relationship. There is a stronger interest in cooperating and sharing common goals now. You are projecting joyful, optimistic energy that attracts others to you and that makes people feel especially happy in your presence. You might find special reward and benefit through sharing your ideas, ideals, dreams, and hopes with someone special, and in fact, you could discover that you’re going in a similar direction. Conversations with others can really get the creative juices flowing. Boundaries can be pushed, and possessiveness or competitiveness can be strong themes around the 21st, however. Avoid emotionalism when it comes to controversial topics, including money. You might also be feeling in the dark or on the fence emotionally, and you could too easily concentrate on things that have been lost or buried. Issues of sharing, ownership, and support can be touchy. Seek out a compromise. As the month progresses, a stronger focus on relationships comes into play. This is a time for expressing yourself through your relationships. You’re also more sensitive to imbalances in your life now, and you may be seeking more harmony. Mars turns retrograde on the 26th and will remain retrograde until August 27th. Later in the cycle (from August 12th forward), Mars will return to your sign. For the first leg of this cycle (until August 12th), Mars is retrograding in your finances and resources sector. Mars is moving very slowly through your sector of money, personal possessions, and natural talents all of June, in fact, and while matters surrounding these things can seem to be moving similarly slowly, this gives you the chance to take a second look at problem areas you may have missed in the past. Watch for struggles with money or values. There can be some confusion, misunderstandings, and possibly resentments surrounding money, ownership, valuables, matters of self-worth, work, and health. It’s important to watch spending and pay attention to fine print when making purchases or commitments. You could easily regret your purchases later, so take the time to think about it before you leap forward. However, this can also be a time for seeing new ways to make money or for discovering lost items. It’s a reasonable period for redesigning your budget, too. A review of money matters may be necessary and quite beneficial now. On the 27-28, a Full Moon occurs in your sign just as the Sun opposes your ruler, Saturn, from your partnership sector. This brings strong messages about companionship and independence into your life. Watch for a tendency to refuse to play a game because you don’t want to deal with the possibility of losing it! Another possible theme is that you distance yourself in a relationship or feel frustrated that someone doesn’t seem to understand you. Part of the reason for this is a sense that you have to deal with everything yourself. Aim to take the lesson from your experiences now and improve your life for doing so. Be as patient as you can, both with others and with yourself! June 2018 Monthly Horoscope for Aquarius: You’re paying extra attention to pleasure-seeking activities, romance, creative projects, and hobbies in the first few weeks of June, dear Aquarius, with Mercury and the Sun in your solar fifth house until the 12th and 21st, respectively. It’s a creative, interactive period for you, particularly with Mars also in your sign convincing you to go after what you want. This is a time for reconnecting with your “inner child.” Ideally, you’re feeling happier and freer. You might also enjoy increased contact and communication with your kids or a lover. You’re motivated to pursue your passions. Around the 4-5, there can be a clearing of the air, a moment of epiphany, news, or an overdue conversation related to any of these themes. You can be particularly communicative, articulate, and perhaps dramatic! This can also be a time for gaining some clarity about creative projects, a relationship, course, or a hobby. You’re taking more pride in your work, ideas, and beliefs, and others are taking note. Creative projects could reach a turning point, or there can be a romantic revelation. The New Moon on the 13th brings fresh energy for new starts along these lines. Later in June, the Sun and Mercury move into your work and health sector, and there is a shift of energy towards taking care of business. You’ll be moving into a period of increased focus on routines and health. Even so, Venus is already in this sector of your chart at the start of June, helping to smooth and ease the transition. Until the 13th, you’ll be seeking out more harmonious relations on the job, and the charm that you’re displaying professionally is likely to be well-received. You may be making beneficial connections whether through the pursuit of your work and health goals or because of this stronger interest in these things. This is a favorable time for personal enjoyment of projects, organizing, list making, watching your nutrition, and the like. 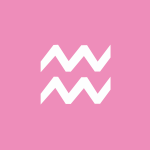 Venus transits your partnership sector from the 13th forward, and you’ll find it mostly easy to harmonize with others. You’re in good shape for enhancing and boosting a close relationship. Neptune begins its yearly five-month retrograde on the 18th, and it can be a time of some rethinking, introspection, and indecisiveness. This cycle is good for exploring your dreams and spiritual needs. The station itself, however, can be a little disorienting until you acclimatize, making the week surrounding the 18th a time of some confusion. Remind yourself that holding off on making a decision or coming to a conclusion can be a good strategy now. Keep in mind that things are not as they seem, especially practical affairs and finances, as they can be skewed by wishful thinking or a temporary loss of faith and motivation. The Mercury-Jupiter-Neptune triangle on the 19-20 helps tremendously, though. It can be a fine time for powerful intuition regarding work, reputation, and career. There could be an appreciation for the work you do, good news can arrive, or you might discover important information, about health, money, or work. You can be more creative in your work, or you might be adding practical details to creative projects. A Venus-Mars opposition on the 21st can be strong on you with Mars slowing down and in your sign. Someone may be frustrated with you, and perhaps that person is hoping you’ll intuit what they truly want, but it can be difficult for you to pinpoint. Reactions can be strong now. Try to detach yourself emotionally just enough to stay in a calm place and work things out, but not so much that others think you’re mocking them. You can learn a lot about yourself from whatever is triggered now. Retrograde Mars on the 26th is big news for everyone, but especially so for you since Mars is currently transiting your sign. Watch that you don’t book yourself solid early in the month as there can be a change of heart or slowdowns occurring later in June. You may not feel like following through, or you simply can’t do so! 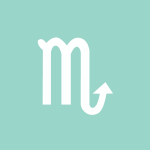 With Mars retrograde in your sign from the 26th, you can be more introspective. It’s not that you lack confidence, but you’re more inclined to look within for answers. Questioning your plans is likely, and in fact entirely necessary. The temptation to push ahead with personal plans is strong, but circumstances could have you feeling stuck. Watch for temper tantrums as you’ll be at your strongest if you tame impatience and work on projects that need fine-tuning or completion rather than adding more to your plate. Correct misunderstandings swiftly, and don’t dwell on matters you can’t control, although the latter can be especially tricky with Mars in your sign and retrograde, as all sorts of buried frustrations can emerge in unexpected ways. The tendency to stew and to let things get to you is strong now. Some disconnects can happen now, but can also lead to greater understanding down the line. For now, try not to push matters (or others). Give them space, and give yourself space as well. Mars is retrograde from June 26 to August 27 but is retro in your sign until August 12th. The 27-28 features a Capricorn Full Moon and a Sun-Saturn opposition. Both of these are yearly events, but they don’t usually happen at the same time. You might need to face and deal with an area that you overlooked, neglected, or avoided in the past. You’re motivated to work and take care of business, but taking care of an emotional matter or an obligation to help someone can slow you down. Others may not be appreciating all of your efforts, and this can serve to frustrate you, although left to fend for yourself, you may discover that you do just fine on your own! A reminder from the cosmos to arrive at a better work-life balance can come now, and while it can be annoying initially, pacing yourself can only be to your benefit. 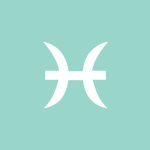 June 2018 Pisces Horoscope: You’re seeking out more familiarity, comfort, quiet, and private time in your life in the first few weeks of June, dear Pisces. This is an excellent time to improve living conditions and relations with family or loved ones. Mercury’s here until the 12th and the Sun until the 21st. Especially around the 4-5, there can be big ideas and meaningful conversations or ideas related to long-term projects, improving security, family, and home. You’re gaining clarity in your personal life. After the New Moon on the 13th, you’ll want to push forward with family and home improvement plans. Until then, it’s a time for clearing the air and starting fresh, although you should only undertake brand-new significant initiatives after the 13th. There can be meaningful conversations about or with family, and things may be coming together on the home front or regarding living conditions. Ideas can blossom. Significant ideas, news, or conversations can happen now. Venus continues to transit in harmony with your sign until the 13th, however, bringing graciousness, the power of attraction, an urge to interact, and considerable charm. This is a pleasant transit for you. It’s a time when you tend to follow your heart’s desire and you can be more romantic than usual or receive extra romantic attention. Love can be found more readily while pursuing entertainment and pleasure, or you might discover what you love in your hobbies and pastimes. It’s one of the better periods of the year for personal magnetism, romance, and creative expression. The New Moon on the 13th is useful for new plans or initiatives that have long-term potential. From the 13th forward, you can be focused on bringing harmony to your daily life, including your working environment. There may be social opportunities arising through your work or your daily routines or pursuit of good health. Neptune is retrograde for about five months each year, and in 2018, this cycle begins on June 18th. Its station can cast a haze around facts and figures, and while this happens yearly and it’s nothing new to you, Neptune is one of your rulers, and you’re more tuned into its vibrations than most. Be a little more cautious and precise than usual with essential documents and projects at this time, particularly as Mars will also turn retrograde shortly. Losing a little faith in a dream can be a real energy sapper, so you may need to take a light schedule. Be aware that you may be giving off mixed signals to others. Going forward, however, you are in a stronger position to put your faith in doable, viable dreams and goals. The 19-20 is a powerful time for you and your relationships. It’s an excellent time for expressing yourself through creative mediums, coming up with beautiful ideas about life goals, and for connecting with loved ones. You crave a little more from life than you typically do on a mental level. Your perception of the world opens up and broadens, possibly through the news you hear or conversations you have now. You might come to peace about a matter with someone, or settle a problem. Your thoughts and ideas inspire people, and for some of you, a creative, partnering, or romantic opportunity might emerge now. It’s an active period for attracting a relationship. On the 21st, Venus opposes Mars, and you may be facing stubbornness in others. Restlessness is stirred, and a problem in love or friendship can reach a head. Acknowledge whatever feelings are coming to the surface at this time, even if they seem to be irrational, but keep in mind that you don’t have to act on them yet. Watch for impulsive moves now as they’re more likely to be memorable and to have a long-term impact. Another theme that’s gaining momentum in June for you is a creative, romantic, and playful one. It’s a strong time for making significant emotional and creative changes that contribute to a sense of personal empowerment. Mars turns retrograde on the 26th, however, and certain initiatives slow right down. Note that June finds many planets moving in retrograde! The message is clear: take things easy. The entire Mars retrograde period spans June 26th to August 27th, and the first leg of it occurs in your privacy sector (until August 12th). You can feel driven by unusual yearnings and desires at this time. If you don’t honor your need for downtime and rest, circumstances can conspire to remind you or enforce it upon you. Health or emotional issues might slow you down and occasionally pull you out of the routines of your daily life, and it can feel like this happens at the worst times. In general, it’s not the best time to ask for commitments from others or to make them yourself. Living in the moment, and enjoying it, without too many expectations is your best bet, as long as you don’t go overboard with this. You can also benefit from reflecting on the past and learning from it. While you may be reconsidering certain recent endings, you may simply need a little more time to process things before moving forward, and this retrograde cycle is affording you this option. You may seem quite preoccupied, and this can be due to secret conflicts or personal matters that are weighing on your mind. The 27-28 brings a Full Moon and Sun-Saturn opposition, both of which are affecting your social sectors. You may be facing a reality check, particularly related to friendship or goals. Responsibilities to others can emerge now and interfere with your fun or plans. Delays or criticisms may motivate or force you to firm up your ideas, however, which can ultimately work in your favor. If you learn where you stand and check in with the rules, you’re in the position to make more responsible decisions and realizable plans. As well, limitations you deal with now can, perhaps ironically, open you up to other freedoms later. Sun 29° Aries 44' 12"
Moon 08° Scorpio 12' 51"
Mercury 03° Aries 36' 00"
Venus 29° Pisces 18' 27"
Mars 13° Gemini 04' 07"
Saturn 20° Capricorn 26' 16"
Uranus 02° Taurus 21' 50"
Neptune 17° Pisces 43' 03"
Chiron 03° Aries 28' 36"